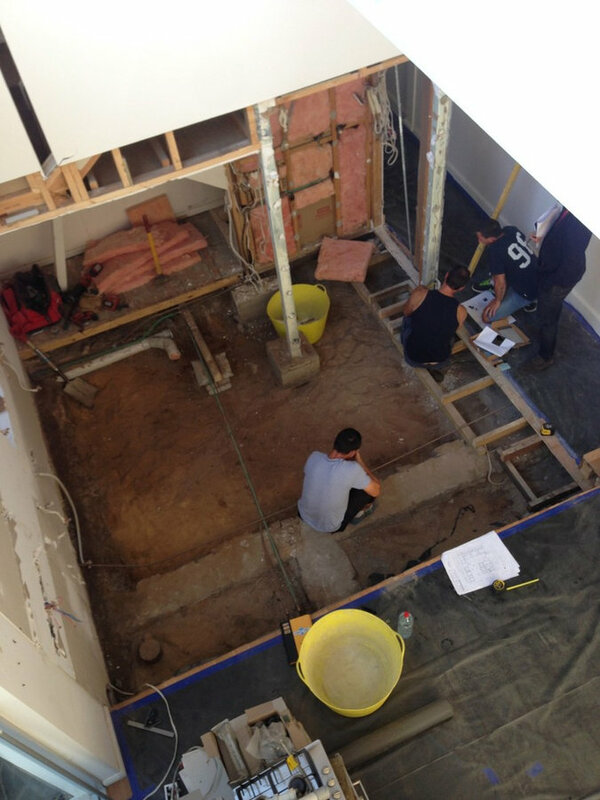 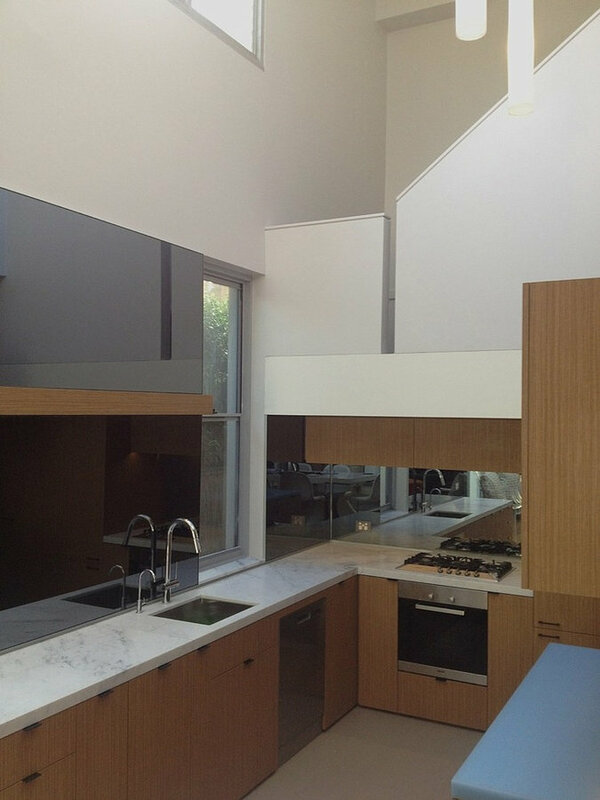 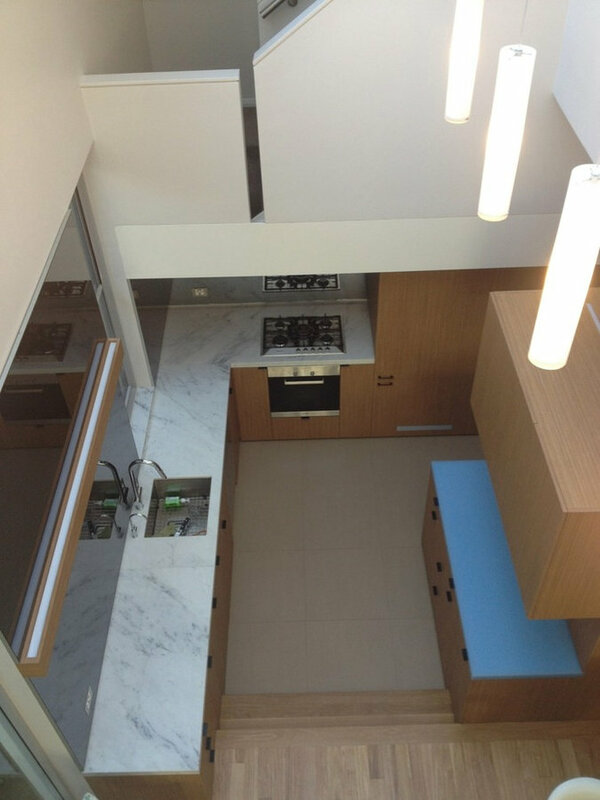 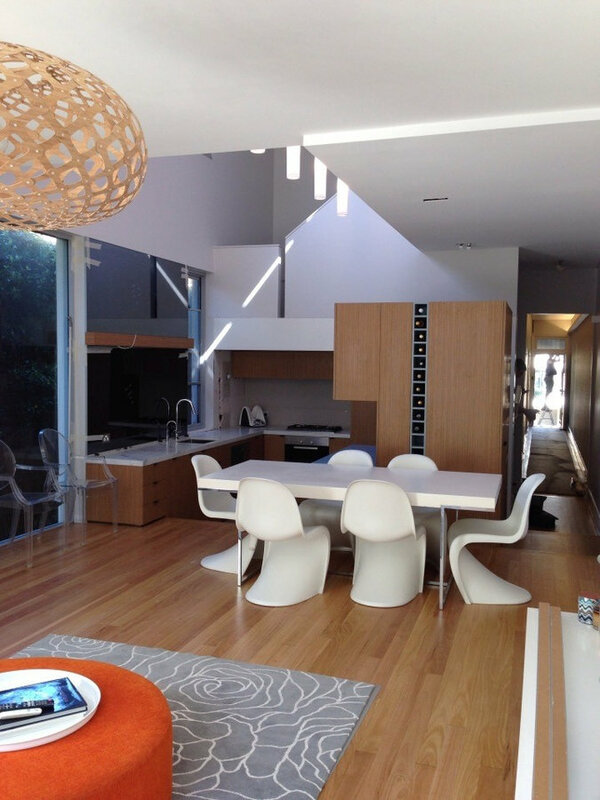 Demolish and design a new kitchen that opens itself up to the open plan living and dining room to the rear of the house. 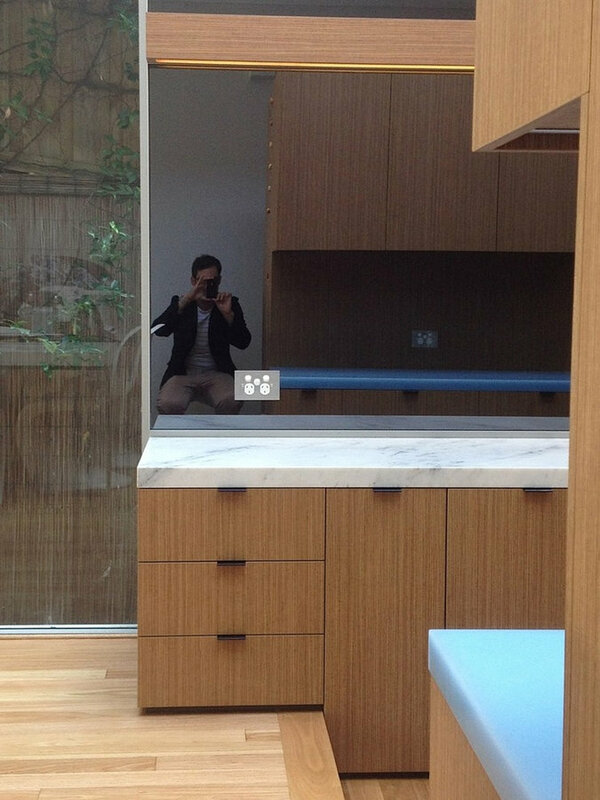 Provide a warm palette of timber veneer, marble and grey mirror finishes to the L-Shaped kitchen. 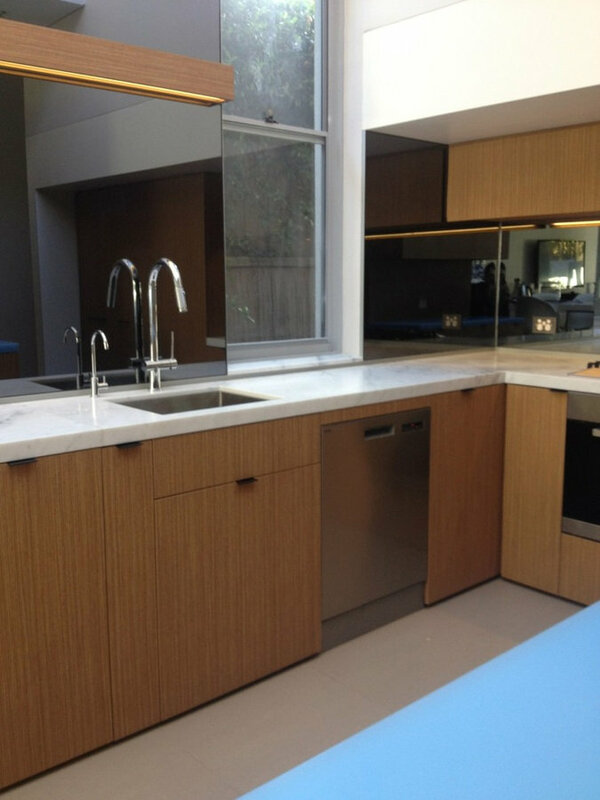 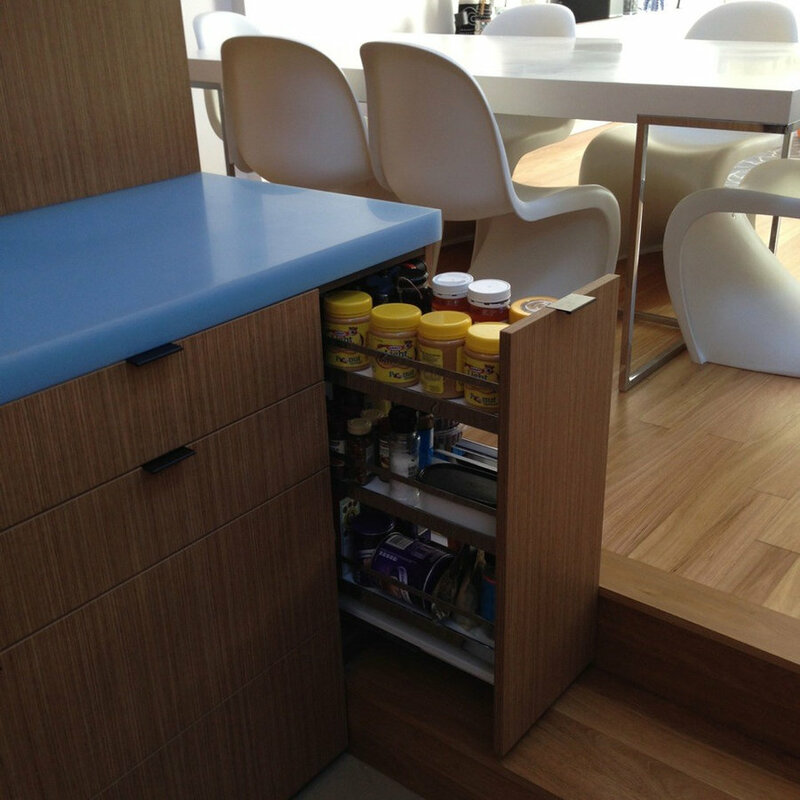 A free-standing 4-sided joinery box conceals a pantry, laundry, wine storage and island bench unit with a resin bench top in duo egg blue. 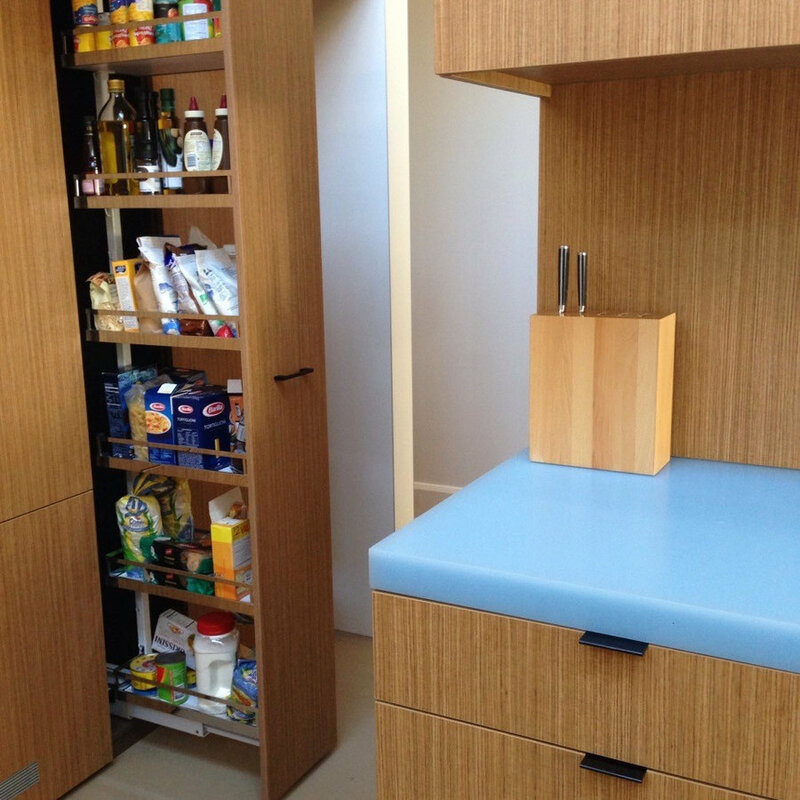 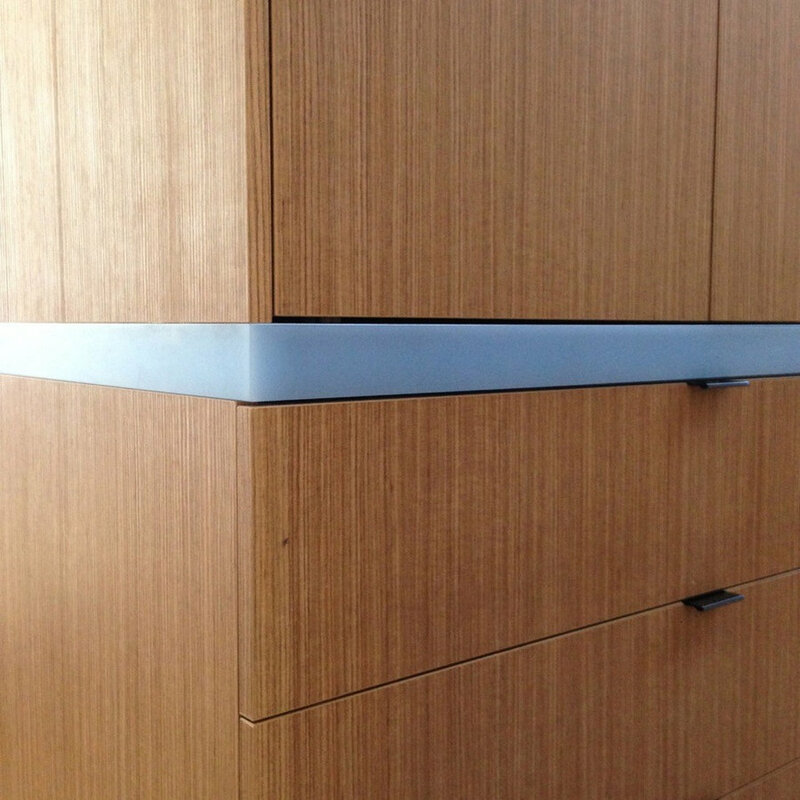 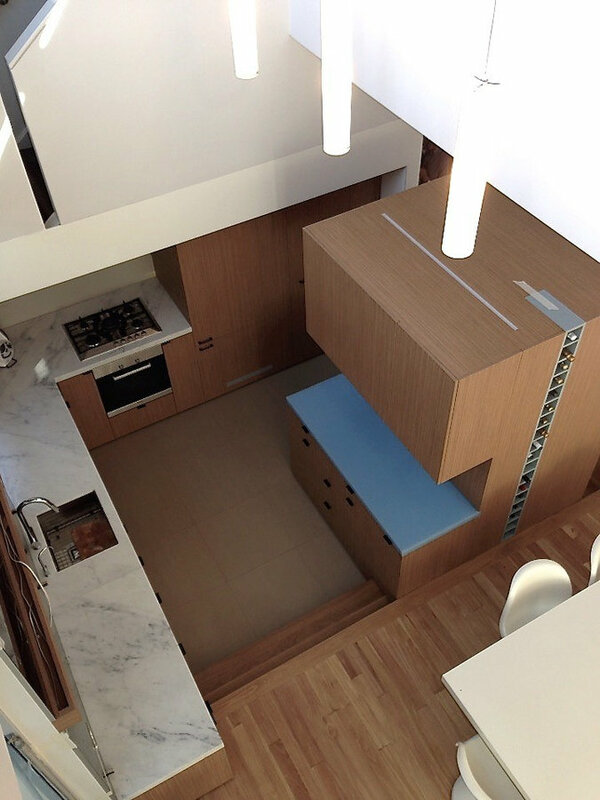 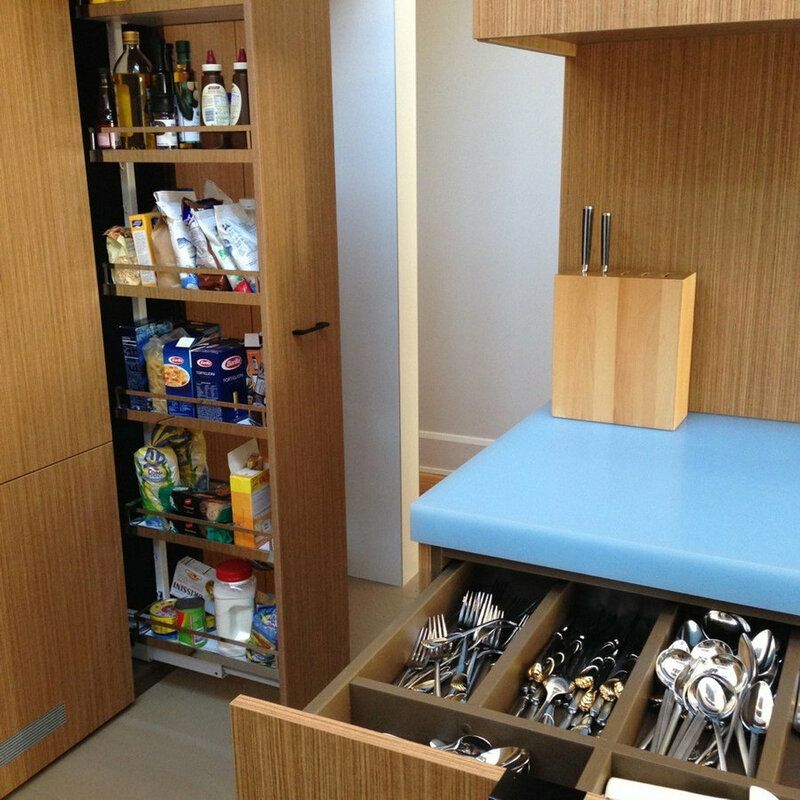 Concealed pull-out pantry storage solutions and integrated appliance cabinets gives the illusion of a much larger space.